On my way out of Weano Gorge after photographing the narrow canyon sections, I noticed this lone tree. It contrasted nicely against the gorge walls and the composition came together with the scene reflecting in the natural pool of water below it. Although I generally love shooting colour filled, dramatic scenes, I love simple black and white photography. A well executed black and white photograph with a beautifully simple composition has a sense of elegance to it that I just love! 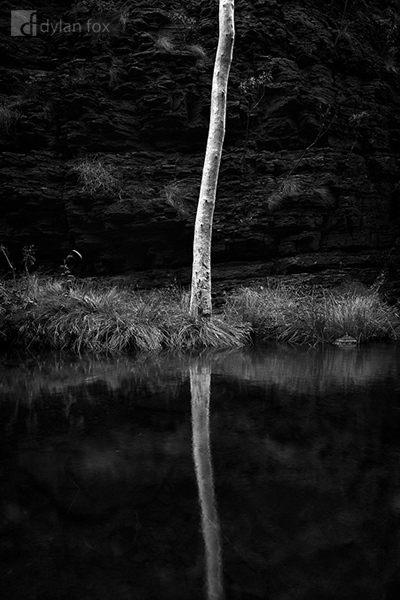 Secure your limited edition, Weano Gorge photographic print, 'Down By The River', by selecting your desired print size in the menu to the right.